BJH's last album for the Harvest label was something of a damp squib that received a lukewarm reception from critics and fans alike on its release in 1972. Fortunately for the band the subsequent move to Polydor saw BJH reach its artistic peak, in addition to achieving an immediate increase in sales. However BJH also seemed to leave their progressive leanings behind when they departed EMI. 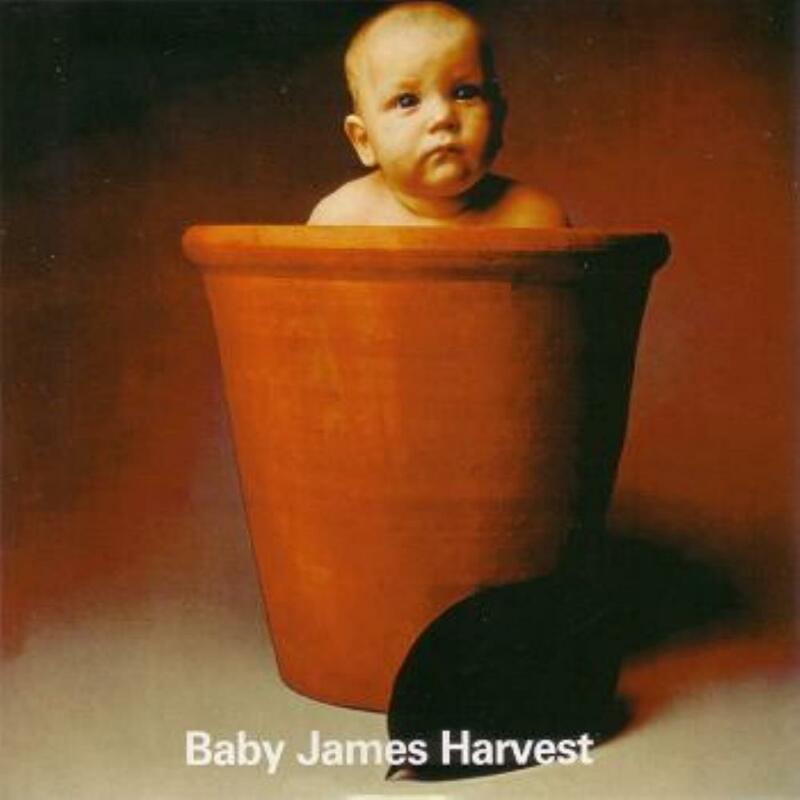 Baby James Harvest contains only six songs, with a couple of minor epics (Moonwater; Summer Soldier) to close each half of the original vinyl album. Moonwater is one of those Woolly Wolstenholme orchestral pieces that just doesn't do it for me. Having a real orchestra providing backing for a rock band is one thing; a fully orchestrated piece with additional vocals is quite another. I just don't think a pseudo-symphonic movement alongside rock songs works; certainly not in this case. Fortunately, Summer Soldier is an entirely different proposition. Clocking in at over 10 minutes it's one of the longest tracks the band recorded, and is the anti-war song that by now was a seemingly customary element of BJH albums. The track begins with the ringing of church bells and sounds of battle, followed by a snare-drum marching beat. After a couple of minutes the first part of the song proper begins, with John Lees making a plea for reconciliation. Around the six-minute mark the church bells herald the second half of the song. This features the most orgasmic of guitar riffs, backed by swathes of Mellotron. For me, this epitomizes the charm of BJH. Their music is highly emotive and the guitar-playing of John Lees expresses depression of spirits while elevating the spirits of the listener. A wonderful paradox. The remainder of the album is fairly unremarkable. The Les Holroyd penned Crazy (Over You) and One Hundred Thousand Smiles Out are typical examples of the direction the band would take on future releases. These two songs, along with parts of Summer Soldier, contain some lovely ringing guitar that reflects George Harrison. This sound would be used to beautiful effect on Hymn For The Children from Time Honoured Ghosts. Thank You is a dire rock'n'roller. Delph Town Morn is fairly pleasant, apart from the brass and sax solo! Only one song to get excited about then. The remainder is, at best, average. Another BJH release for fans only i'm afraid.